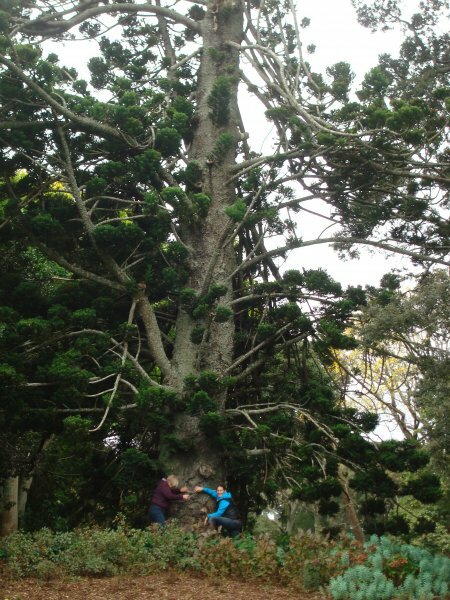 Hoop pine is not uncommon in Auckland or New Zealand and this is a particularly fine old specimen. It holds a prominent location at Monte Cecilia Park, very close to the old Pah Homestead. This is a somewhat unruly looking tree with, what looks to be, broken or bent branches that are still attached and quite alive along part of the tree's trunk. 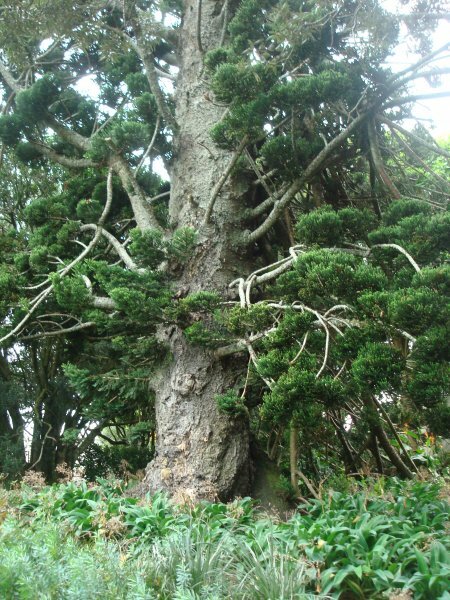 This trait has not been observed on other trees in New Zealand (VanWijngaarden, R. 2012). Information about Monte Cecilia Park, it's many fine specimen trees, architecture and cultural history can be found by referring to the following listing, AR/G0984. This tree has good shoot extension and dark green foliage but the trunk is somewhat thin in density. Some branches appear to be bent downward, either broken but still attached or bent under their weight. 11 Jun 2012 VanWijngaarden, R.